My sister had been keeping an eye out for new lamps for a while, so when my in laws offered me this pair of lamps I gladly took them off their hands. The color made them look a little dated, but I knew that would be an easy fix. When you are trying to complete a room on a budget, it can be tricky to find what you need, when you need it, and for the right price. This is especially true when you are looking for a specific color! 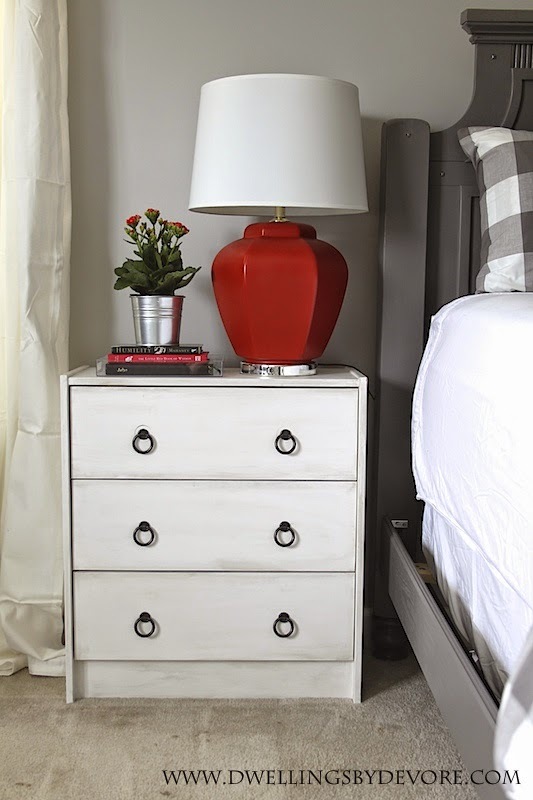 I really wanted the lamps in the room to be a poppy color since most of the room was pretty neutral, but that's not an easy color to find. So I turned to spray paint to get the job done. I was honestly surprised that I found the exact color that I needed. 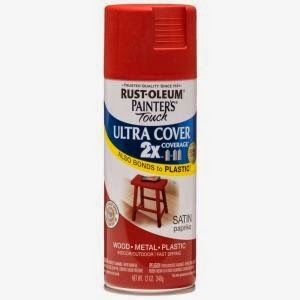 It's Rustoleum Paprika. I found it Home Depot. Since the paint claims to bond to plastic, I didn't worry about priming the lamps. I just cleaned them up and taped off the top part of the lamp and also the bottom silver portion. I was worried the paint would end up looking flat because the finish of the spray paint was satin. I was hoping to find a gloss or semi gloss paint. But I'm really happy with how they turned out. They have the perfect amount of sheen on them and you really can't tell they are spray painted. I did three light coats on them and ended up only needing one can of paint. I'm not sure why they look like they are different colors in this picture, but the one on the right is a truer representation of the actual color. My sister bought a few new updated drum shades for them, but still ended up paying way less than she would have for a pair of new lamps. Is it warm enough to spray paint where you are yet? I'm so glad spring is finally here! 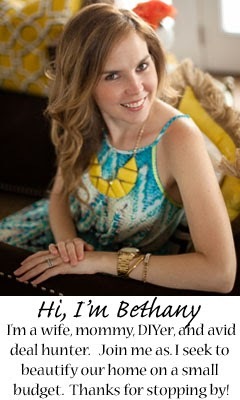 Also, I want to give a shout out to plushrugs.com for naming this blog one of the top 50 home decor blogs! I feel so humbled and honored to be included on this list. I scrolled through and found some favorites of mine and also discovered a few new great ones. You can find the list here. Gorgeous color and I love the shaper too. Love these! 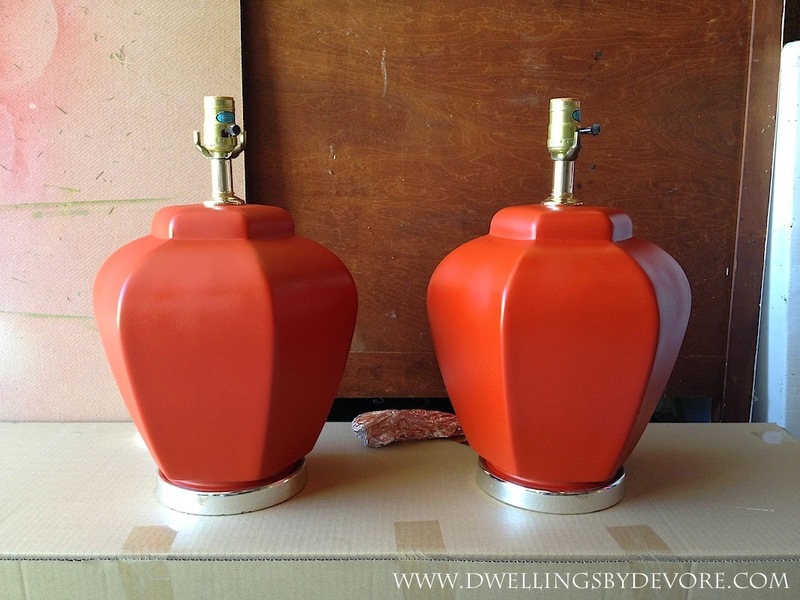 I am trying to re-work some lamps in my master redo since I am doing it on a small budget. :) The color is great!! Congratulations to you, that's awesome. And I love the lamps. 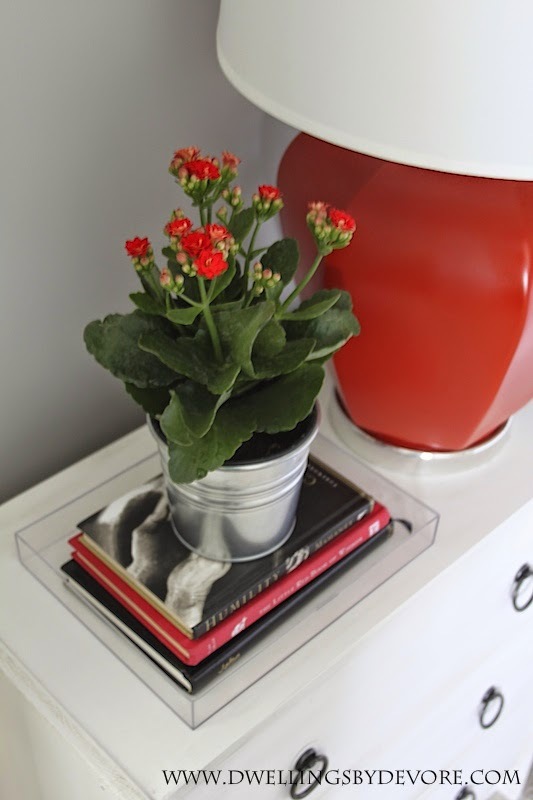 Those lamps have the best shape and are perfect for nightstands! Congrats on the mention- you deserve it! Those lamps are perfect! I never would have known they were painted. I need to get my in-laws on the "give me your unwanted decor to turn into something fabulous" bandwagon! Love it. these are so fun!!! love the color- that whole room is a knockout! I have a similar lamp with bird and flower details, I think that by looking at this, it's time to give that lamp a makeover too! Love the color you chose! These look awesome! 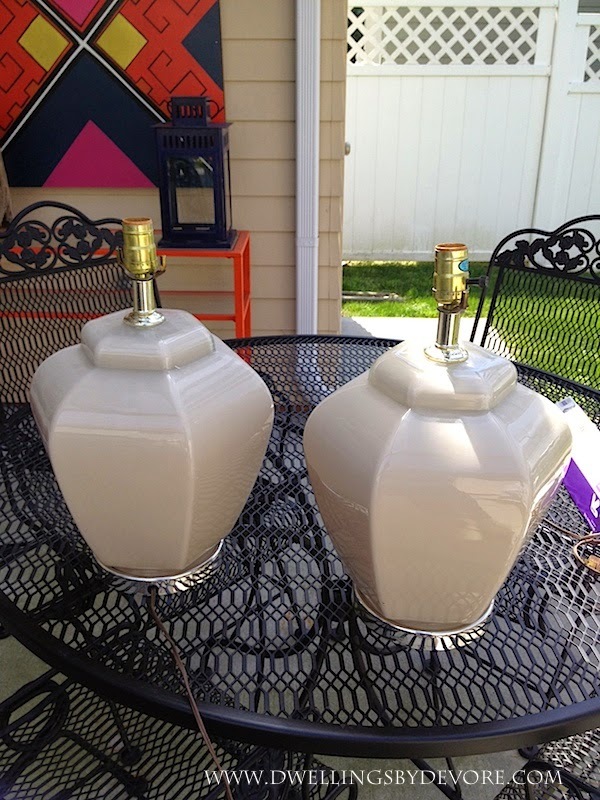 I've attempted spray painting lamps, but had problems with the paint dripping. Seeing your success, makes me want to give it another try!Thanks for sharing! Lately I have been loving these 80's style lamps. They looks so new and fresh with a paint update!